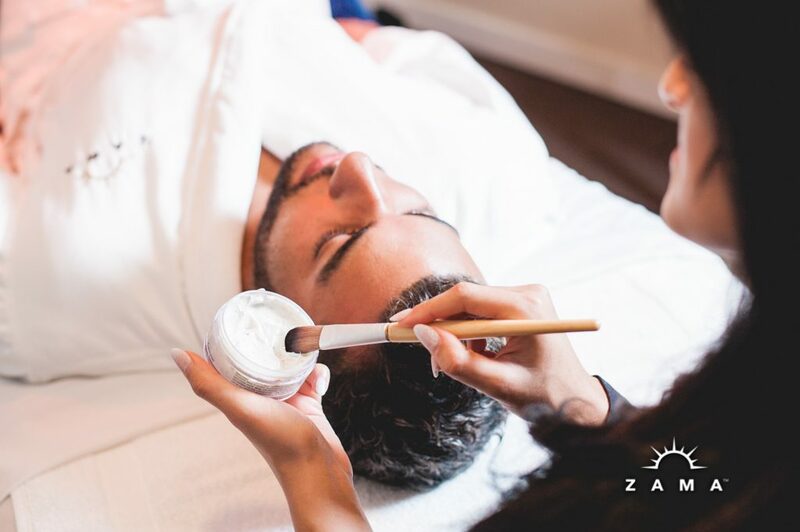 The Just For Him Facial at Zama is both practical and indulgent. Whether you are preparing for an important event, or are just in the habit of taking great care of your skin, this facial is for you. After carefully assessing your skin, our trained estheticians will provide you with a customized treatment that accomplishes your personal skin care goals. Your facial begins with deep pore cleansing, exfoliation, and a steam treatment. As the warm steam softens your pores and prepares your face to receive the rich treatment and ingredients from Eminence, the steam stimulates blood circulation to the face allowing the skin to look refreshed. The warm steam also allows for deep cleansing resulting in softened, hydrated, and rejuvenated skin. After the steam treatment we apply a customized soothing masque, which prepares your skin for proper hydration. Finally, we apply a moisturizer (from Eminence, our organic skin line from Hungary) chosen specifically for your skin type. 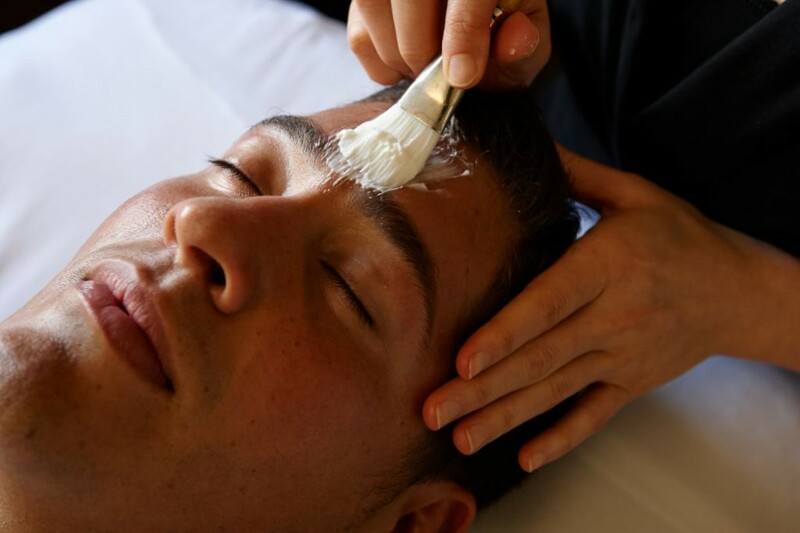 Receiving our Just For Him Facial can help repair the damage caused by daily shaving, skin sensitivity, dullness, aging, and the environmental impact of both city and outdoor living. These treatments are for men who like to look, live, and feel their best. The experience ends with a relaxing head, neck, and shoulder massage. In addition, you’ll get skincare advice on how to prevent razor burns, sensitivity, and folliculitis – the inflammation of one or more hair follicles. Relax and unwind with our Just For Him Facial, served with a rotating local brew! It will leave your skin healthy and glowing! 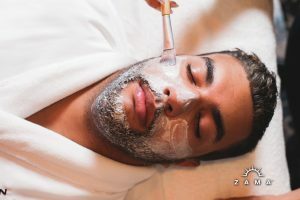 Read this article on why getting facial’s is important in the Guy’s Grooming Guide at askmen.com!